Toursticks jetzt günstig online kaufen! Improve your golf game with the Tour Sticks — The #1 Training Aid Used by Tour Pros. Tour Sticks are a pair of innovative fiberglass rods that golfers use as a portable, multifunctional training tool to reinforce fundamentals of the golf swing. 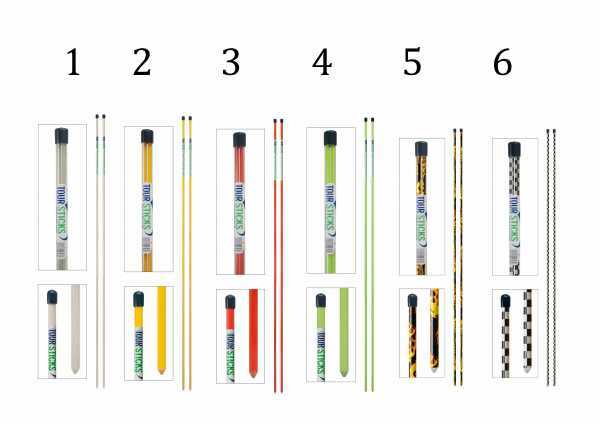 Due to the versatility of this product, the alignment sticks are suitable for golfers of all levels and ages. Tour Sticks are a great teaching aid for coaches and make a perfect gift for that golf-obsessed fan in your life. Available in 10 stylish colors, there's a pair out there to suit everyone!